Causes, symptoms, and treatment for head tilt. Buttons, Chris & Gina H.
Head tilt, also known as wry neck or torticollis, is a condition in which a rabbit's head tilts sideways. The two most common causes are a inner or middle ear infection or e. cuniculi infection. Inner or Middle Ear Infection: There are three parts to a rabbit's ear canal: the external canal, the middle canal and the inner canal. All three of these parts have the potential to develop infection. Inner ear infections are the most severe and the most likely to cause head tilt, but middle ear infections can lead to head tilt as well. An ear infection could be caused by bacteria, mites, even an upper respiratory infection. As the infection worsens (especially when it travels to the inner ear canal), it causes inflammation in the vestibular tract which affects the rabbit's balance. A very severe ear infection can cause pus to form and prevent the vestibular system from functioning properly (leading to potentially permanent damage). Cleo, left, developed head tilt as a result of an inner ear infection. E. Cuniculi Infection: Encephalitozoon cuniculi is a parasite that attacks a rabbit's central nervous system (the brain and spinal cord). It is transmitted through exposure to the urine of infected rabbits or through the placenta when a rabbit is born to an infected mother. When it enters the body, e. cuniculi travels through the blood stream and body tissues and targets organs such as the heart, lungs and liver. Eventually, it can make its way to the brain, kidneys and eyes. The body's immune response will create antibodies to fight the infection by limiting tissue damage and preventing the parasites from multiplying. Some infected rabbits may never show symptoms and live normal lives. Others, often when faced with some kind of stress that suppresses their immune system (such as an illness, injury or disability), may start to experience more overt symptoms. What Are The Symptoms of Head Tilt? Symptoms may appear suddenly or develop gradually. Sometimes, initial symptoms are almost imperceptible. Regardless, this condition is often progressive and recovery depends on early diagnosis and treatment. If you notice any signs of head tilt, get your rabbit to an experienced veterinarian immediately. How Do You Treat Head Tilt? Your veterinarian will begin with a physical exam to determine the cause of the head tilt. If the cause is suspected to be an inner or middle ear infection, your veterinarian will conduct blood tests, take a culture of the pus inside the ear canal if possible to determine which antibiotics the bacteria will respond to, and then, if necessary, they may conduct a radiograph of the skull or an endoscopic otoscopy (where they use a tiny camera to see and photograph the ear canal). Treatment includes systemic antibiotics, topical antibiotics, irrigation of the ear canal, medications for pain and inflammation and anti-vertigo medication. Your rabbit may or may not require fluid administration or supplemental feedings until they recover. If the cause is suspected to be e. cuniculi infection, your veterinarian will conduct a urinalysis and blood tests. Part of the blood testing will include a blood titer test, which analyzes the blood for the presence of antibodies against e. cuniculi. While this can only reveal whether the rabbit has been exposed to the parasite, high titer levels could indicate that the rabbit is fighting off infection and validate treatment. Even if testing is inconclusive, treatment is often pursued if e. cuniculi is suspected. This includes anti-parasitic medication (usually Panacur, or fenbendazole), anti-vertigo medication and anti-inflammatory medication. 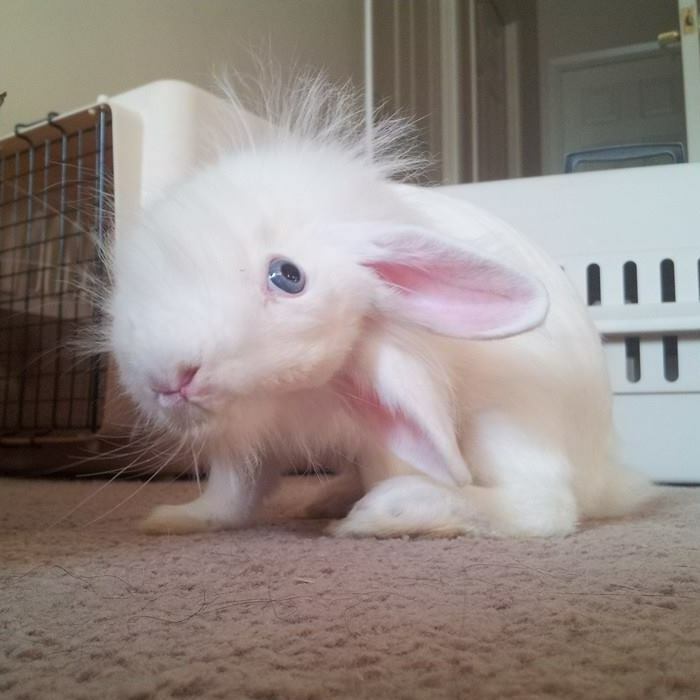 Your rabbit may or may not need hospitalization for a few days until they stabilize. E. cuniculi is not curable, but treatment can stop the progression of the disease and reduce or eliminate the clinical signs. 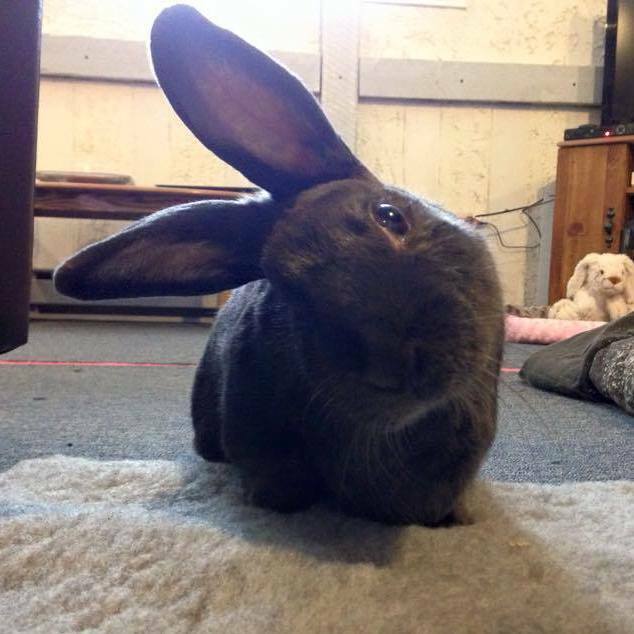 Rabbits with and recovering from head tilt will have some special care needs beyond those of a "normal" rabbit. Head tilt rabbits will likely require some changes to their enclosure. Add padding to the sides of their cage or pen (rolled towels, pillows or crib liners). If they are rolling, spinning or struggling to keep their balance, confine them to a smaller space. This will keep them safer and actually help them feel more grounded. 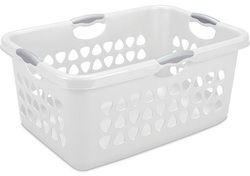 A laundry basket can be a good safety enclosure during rolling periods. Line the bottom of the basket with some puppy pads, then some soft towels and a top layer of fleece to keep them comfy and dry. Then pad the sides with rolled towels for support. You will need to keep a careful eye on your rabbit's "down eye." You don't want it to get scratched on bedding or cage bars. Ask your vet for some ointment to keep the eye from getting dry. Your rabbit may need a low-entry litter box as they will likely have some trouble hopping in and out of a regular one. Try one of the ones recommended on our Litter Boxes page. If your rabbit is having trouble eating and/or drinking on their own, you will need to adapt their dishes for easier access or provide them with assisted feeding. This can be Critical Care or other supplements fed via syringe. Visit our Supplements page for more information on diet supplements. It is important that your rabbit get enough nutrients during their recovery. Try to handle your rabbit as little as possible. Rabbit's with head tilt struggle with keeping their balance, especially more so when they do not have their feet on the ground. If you must pick them up, hold them tightly to your chest and brace their sides as much as possible. Regular exercise (once they are stable) is also a very important part of head tilt treatment and recovery. Having a large area to play in is particularly beneficial. During their first few times out, or if they are having particular trouble staying right-side-up during play time, try building a "track" for them. 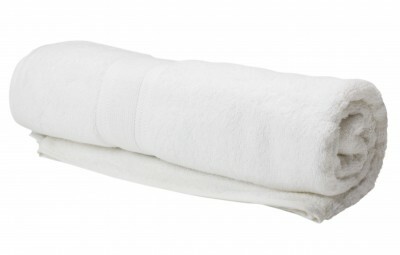 Arrange a long row of pillows or towels on either side with a narrow area for them to move between the padding. This can help orient them and give them support should they feel wobbly. A stuffed bunny friend can be a welcome companion during head tilt recovery. During recovery, try to keep your rabbit's living area quiet and as calm as possible. This can be a particularly scary and vulnerable time for your rabbit and loud noises, bright lights, etc., can cause unnecessary anxiety. 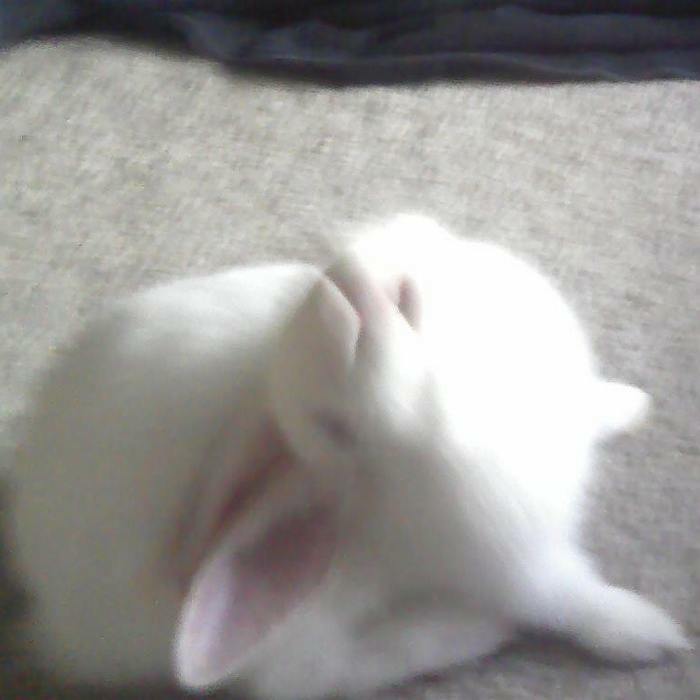 Acupuncture and other forms of physical therapy can benefit a rabbit with head tilt. See our Massage page for tips on massage and our Physical Therapy page for information on physical therapy options. 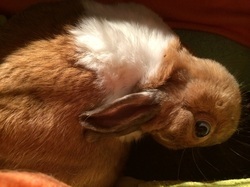 Amais is a little bunny who benefited from a professional animal massage therapist during her fight against head tilt. Try to look for a qualified small animal massage practitioner in your area and see if they might be able to help you and your rabbit on their path to health. Head tilt is difficult to cure. Treatment often takes weeks and even months of medication and supportive care. It is common for symptoms can sometimes get worse before they get better, making it hard to assess how treatment is going. Even after treatment, there is the possibility that your rabbit will still have a residual tilt. But, while difficult to treat, it is treatable and many rabbits recover and go on to lead happy lives. Even those with a remaining tilt learn to adapt. The key is commitment and perseverance. With supportive care, proper medication and therapy, patience and a lot of love, your bunny can be back on their feet and binkying in no time. It can be scary, but together you'll get through it! Bumble Bee developed head tilt from an ear infection. But he's doing well, and still loves his play time. Miffy developed head tilt from a pasteurella infection. Here she is in one of her "safe places," ever the sweetheart.